Word Work - This is changed daily and usually involves more traditional word study activities such as magnet letters, big books, read or write the room, and play dough mats. 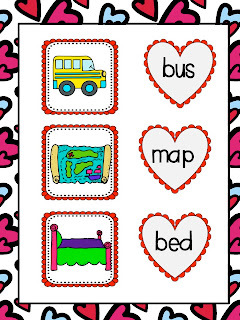 Word Study - In this rotation, my kinders interact with thematic centers that are literacy based. This is where TPT is such a wonderful resource because I can always, always find something to use in this center. Sometimes I leave the activities in this rotation available all week and sometimes I change them daily or every other day. All my students do the same Word Work Center and Word Study center every day. But there are only 4-5 little ones in each center because they are rotated in and out of them every 15 - 20 minutes. I interchange Daily 5 rotations throughout the week. Some kinders are working on their writing, some are listening to a story, and some are reading to self or to a partner, and some are having Teacher Time. They do not do these rotations every day. I have a visual schedule up for them to know which centers they are going to do each day. The purist Daily 5 teacher allows her students to choose which centers they are doing each day. This does not happen in my classroom. I make the decisions for them. This just saves time for me and they do not seem to mind! 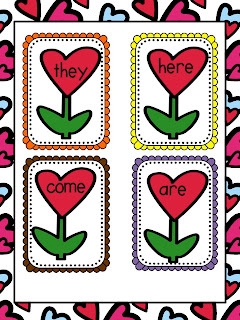 So this week is Valentine's Day and I wanted their centers to be based on a Valentine's theme. I just BARELY finished this unit - yikes! 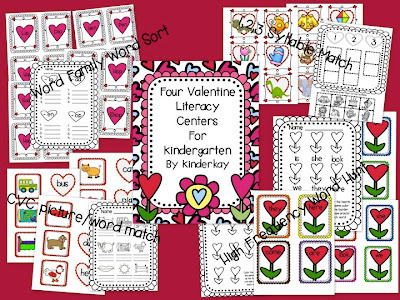 These centers will be placed in the Word Study area this week. All are based on the Common Core Standards which are listed in the packet. 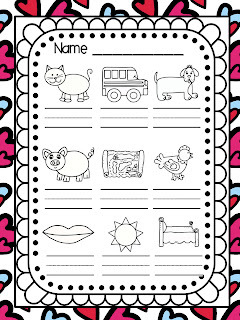 They are easily implemented and after they have been used in a center, they can be used as choice for early finishers. 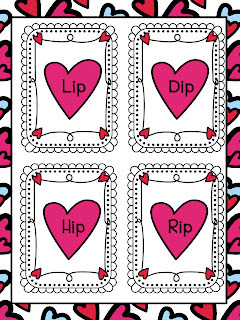 It is full of awesome clip art from Ashley Hughes, Lynda Barbosa, Mel, from From the Pond, and Cara Carroll's new font collection! 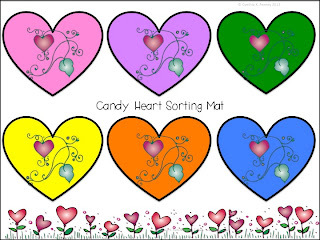 Also, if you are looking for a fun new sorting mat for your candy heart sorting this week, here is a freebie for you! It is, of course, math related, but fun, nonetheless!